I’ve been noticing a lot more requests lately to re-fret guitars with Stainless Steel fret wire. I also get asked a ton of questions about the differences between Nickel-Silver and Stainless Steel frets. Here is a succinct post about my observations of these two fret wire materials. But first a little fret history. Up until the 1930’s frets were shaped like a small, thin bar. They did not have the familiar “T” shape we see today. 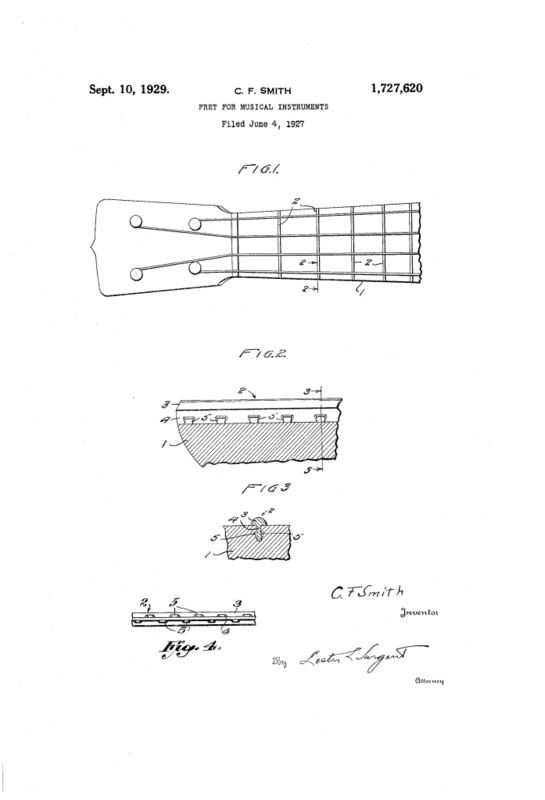 A patent was applied for on June 4, 1927 by Clinton F. Smith for the “T” shaped fret wire. He was granted the patent (#US1727620 A) on September 10, 1929. The “T” shaped fret has been mainly used ever since and nobody seems to have come up with a better design….amazing. Pros: Tried and true for many decades. Easy for techs to work with during fretting and re-fretting. Many sizes are available. Can be leveled & dressed several times. Cons: Frets wear faster than Stainless Steel. More maintenance required depending on playing style and how often the instrument is played. Pros: Basically does not wear. Little maintenance required. Smooth, silky feel when bending strings. A decent selection of sizes available. Cons: More difficult for a tech to work with and harder on fretting tools. Fretting and re-fretting can be more costly. Strings wear faster than Nickel-Silver (small grooves get worn into the string where the string contacts the fret because the fret is harder than the string). Some players report that their guitar seems to sound brighter. The final word: If you are a busy working musician then Stainless Steel frets on your main workhorse guitar is probably a great idea. There is little to no maintenance and you’re probably changing strings often anyway. 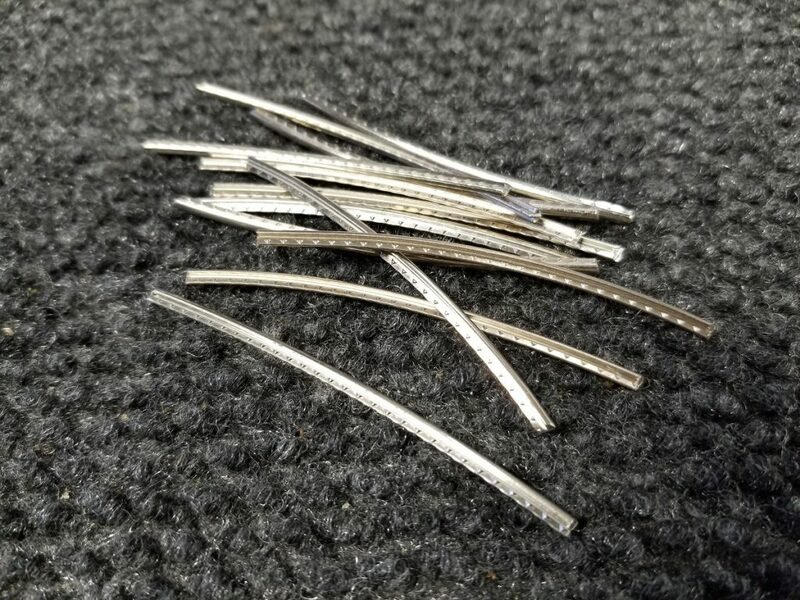 I don’t think that Stainless Steel will completely replace Nickel-Silver but as I said in the opening of this post I am getting much more interest in the Stainless Steel fret wire. I will probably re-fret one of my guitars in the future with Stainless Steel fret wire as an experiment. I hope some of this info helps you all out and keep rockin’! !